Elizabeth Warren: White House wanted me to be a "cheerleader"
Before Elizabeth Warren made her way to the U.S. Senate by way of Massachusetts, she was instrumental in spearheading the establishment of the Consumer Financial Protection Bureau (CFPB) as part of a broader reform of the financial industry in President Obama's first term.
} } Warren was initially considered a likely nominee to chair the CFPB, but that possibility was derailed after the banking industry expressed concern that she would be too aggressive in the powerful post, throwing the likelihood of her Senate confirmation into doubt. Eventually, Warren was tapped to help set up the agency as it awaited confirmation of a permanent director. And in her new memoir, "A Fighting Chance," Warren recalls a tinge of sexism in how an administration official described that more limited role to her. 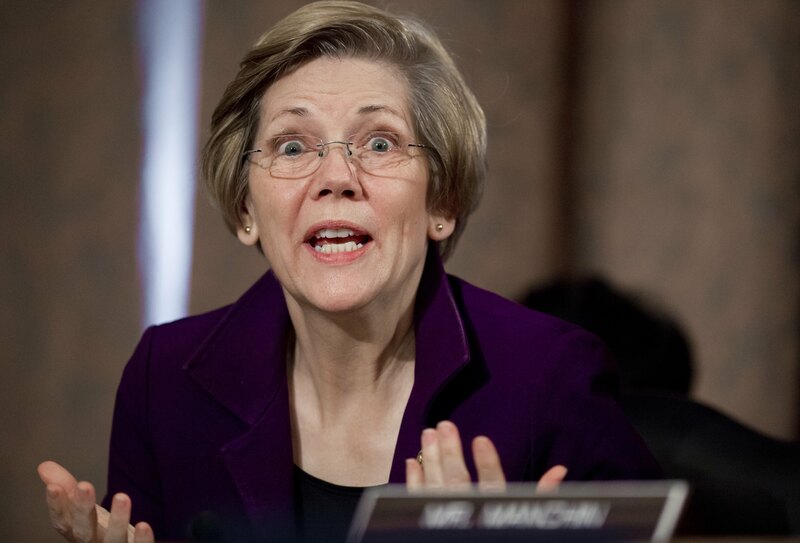 According to the Boston Globe, Warren says that an administration official - whom she does not identify - approached her with a proposal: Someone else would be nominated to chair the CFPB, while Warren could serve as the agency's "cheerleader." "I assume that was meant as a metaphor, but I had to wonder: Cheerleader?" Warren writes. "Would the same suggestion have been made to a man in my position? I did not rush out to buy pom-poms." The book, which reportedly is heavier on autobiography and lighter on policy proposals than some of Warren's previous books, also contains some interesting background on the political considerations that factored into the implementation of the CFPB. Warren recalls how President Obama explained his decision to nominate someone else for the chairmanship instead of her due to objections from Republicans and the banking community. "You make them very nervous," Mr. Obama said, according to the memoir. Warren, a hero on the left due to her work on Wall Street reform, has faced calls from some progressive activists to jump into the presidential race in 2016. She has said she will not run in 2016, but her name frequently places second or third in early polls of Democratic primary voters.